Description Of Item: The imposing Jiralhanae Brutes are first encountered in Halo: Reach as Covenant shock troops, tearing apart the urban metropolis of New Alexandria. 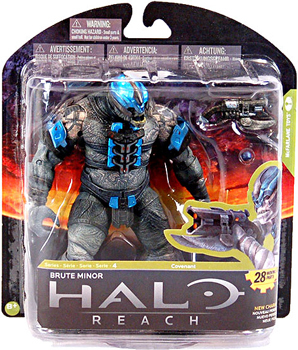 Our first Halo: Reach Brute action figure is the most commonly encountered version, the Brute Minor. Figure includes a Brute Spike Rifle and Plasma Grenade.